The Maze Runner | Shelf Elf: read, write, rave. Pretty scary stuff. The book conveys all of that menace and “you-can’t-see-what’s-out-there-in-the-darkness” tension. 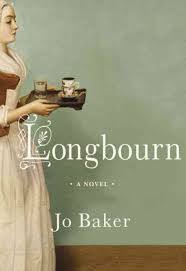 Over and over again as I was reading I was impressed at the tight pacing in the novel. Dashner sure knows how to end a chapter so perfectly that you simply have to turn the page to see what happens next. Closing the book seems impossible. The characters are well differentiated, with a dynamic that is a believably complex mix of camaraderie and ruthlessness. The Grievers have got to be the creepiest monsters I’ve come across in a really long time. Since you are as clueless about the true nature of the Glade and the Maze as the boys, it makes for a disorienting reading experience – thought not in a bad way. By keeping you in the dark, always guessing and wondering, Dashner jacks up the tension and helps you to sympathize all the more with the characters’ feelings of futility and powerlessness. There is a website devoted to the book, where you can read the latest news, see what others are saying about it, and even play a game where you “map the maze” and avoid getting squished and stung by the Grievers. It’s fun/terrifying – a lot like the book itself. 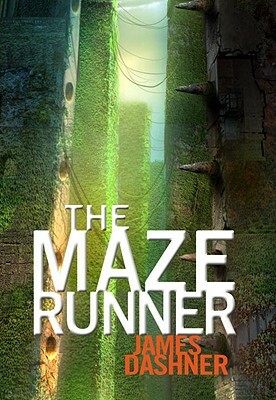 The Maze Runner is an ideal choice for someone who is a fan of The Hunger Games. Like that bestseller, this is a survival story, with intrigue and nonstop action. This is a downright frightening read, backed up with strong themes exploring justice, freedom, ingenuity and hope. This post is cross posted at Guys Lit Wire. Sounds like an exciting book-Can’t wait to read it. Thanks for including book trailer. I really loved this book! It is so true that Dashner has a good way of ending each chapter in a way that you just cannot put the book down. I read the entire book in a day and I’m really looking forward to getting the next one.